The name Forex comes from Foreign Exchange and the Forex market deals with exactly that, an exchange of foreign currency, of all kinds, which is traded one for another, with the purpose of making a profit from this trade. Until 1998, the Forex market was used mostly by a few players, with limited access, which allowed corporations and banks to take part, but not the regular investor. Starting from 1998, access to the Forex market became available to anyone that wanted to trade on it. Even though everyone has access to it, the big players still account for over two thirds of the trade volume of currency exchange. In most cases, using the Forex market is done with the help of a broker, which is the intermediary. When you pick a broker, make sure he’s registered and that he’s capable of handling your investments. In most cases, forex brokers will have some sort of affiliation with a bank. Knowing how the Forex market works and what regulations and rules you need to respect is an important first step when you’re looking to get started with this type of investment. You should know how the trades are made and you can learn it any way you like, from online tutorials to reading books or attending some seminars on this topic. Ideally, you should understand what are the factors which will make the exchange rates fluctuate. The policies of governments, the way banks operate and natural disasters, among other things, will have an impact on the exchange rate of a country’s currency and knowing in advance how the currency will fluctuate allows you to make some investment decisions which can prove profitable. You should always have a plan and you should have at least an idea on how a currency will fluctuate in the future. It’s a bit of guess work, but if you do the necessary research, you can reduce the amount of risk involved in the decision. Another thing to look at is the period over which you want that money invested. If you’re interested in just a small profit, you can act as a short term investor, but if you have a long term plan then you can trade that way as well. One factor which should influence just how you want to invest the money is how much of it you have for this purpose and for how long can you tie it down in long term investments. Learning as much as possible on trading Forex and having a strategy in place can help you a lot when you’re looking to make a profit with it. These days, if you want to get started with the Forex market, there are a lot of sites which offer you information which can make your life easier, though if you don’t know where to look for it, it can also make your decisions harder. There is the option of using Forex trading software to do your investments and this software is available from a number of companies these days. When it comes to Forex trading software, you can look for a number of features which have proved to be useful for other investors. One of these features is the availability of information displayed in real time, telling you how the market does and how it fluctuates. You want to be able to make quick decisions based on the information given to you by the software, so it should be complete and it should be displayed in a way that is easy to read and understand. The market’s trends need to be clearly displayed and once again, you’re looking for a software which will make your life easy when it comes to trading. The software should have access to the market 24 hours per day, since the market is world wide and doesn’t stop until the weekend comes. Even when you’re sleeping, the countries on the other side of the world still function and trade currency. 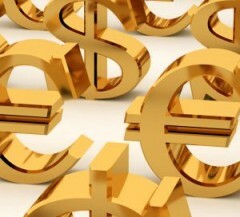 The trading is done with currency pairs, with two currencies traded against each other, at the current exchange rate. You can trade USD for EUR, you can trade EUR for Yen and so on.